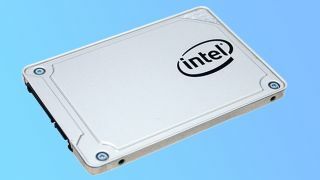 Intel’s solid-state drives have been the cream-of-the-crop for a long time, but they haven’t always been affordable and so now the chip maker has announced a new budget line that should be more approachable. Intel’s newest 545 SSDs start at $179 (about £140, AU$230) for a 2.5-inch drive with 512GB of capacity, which puts it more in line with affordable options like the Samsung 850 EVO and Crucial MX300. The chip maker claims it was able to lower prices by implementing a new 64-layer TLC 3D NAND technology, which packs more digital space into fewer chips. In terms of transfer rates, Intel promises 550MB/s sequential reads and 500MB/s sequential writes. These are only a slight improvement from the last generation, but AnandTech points out that Intel’s new drives are much better at maintaining their top transfer speeds while being pushed to the limit. Intel also promises we’ll see more capacities, ranging from 128GB to 2TB, come out in the next few weeks. By the end of the year, there will also be an M.2 NVMe version you can plug directly into a motherboard for even greater speeds that SATA 3 can’t provide.